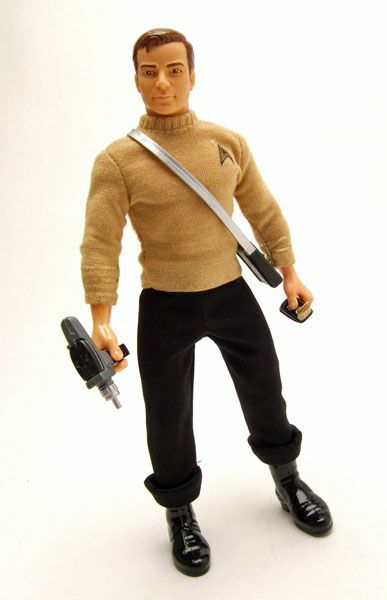 Turtleneck Kirk was released as a Target Exclusive way back in 1996 as part of the "Star Trek Collector Series" (sorry, no boxed pic for ya). 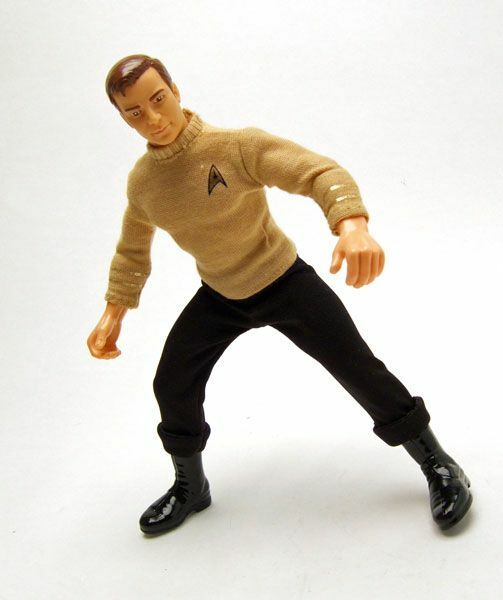 Sure, they aren't that well-articulated, and yeah they're a bit too buff, but the Playmates 9" line has charm to spare. 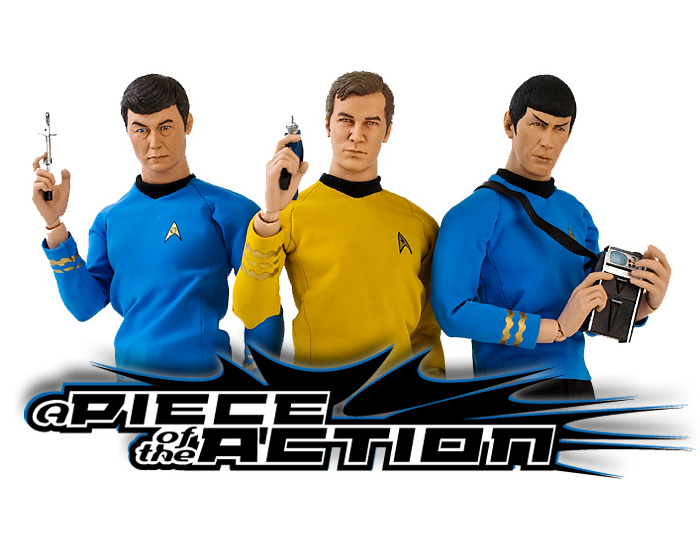 It's a line that made great financial sense to Playmates, since almost all the figures could use the same body with different uniforms thrown on them. The price was REALLY high back then, which caused me to shy away from the line when it was on shelves. You can get almost all the figures on the cheap now though, and it's worth picking up some of your favs if you've got a few extra bucks to spare. 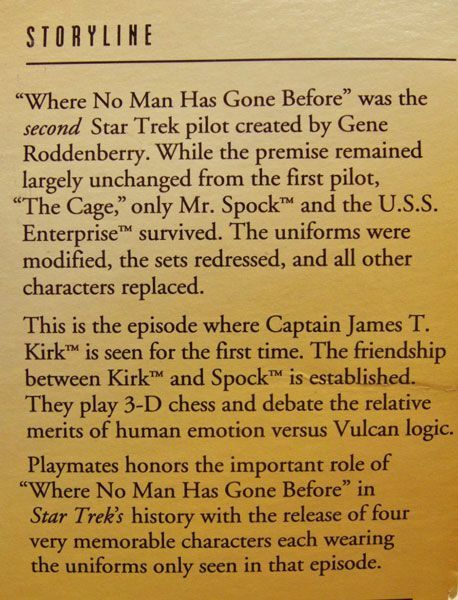 In the case of the "WNMHGB" figures, Playmates did a fine job of capturing the look of the shirts. 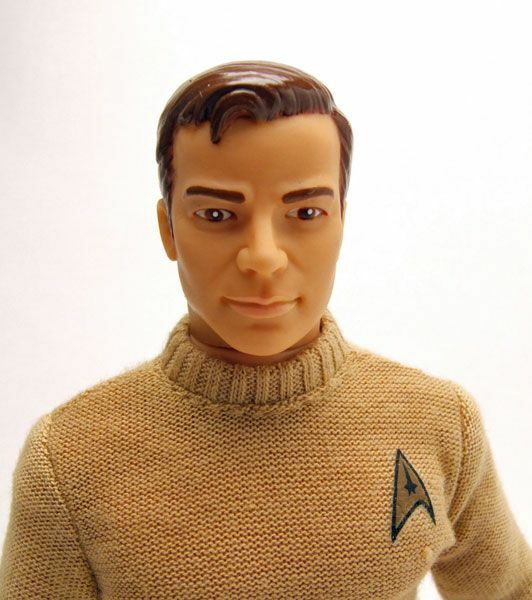 The knitted material works well and the collar is very nice. The only thing that's a bit off here for me is the color. 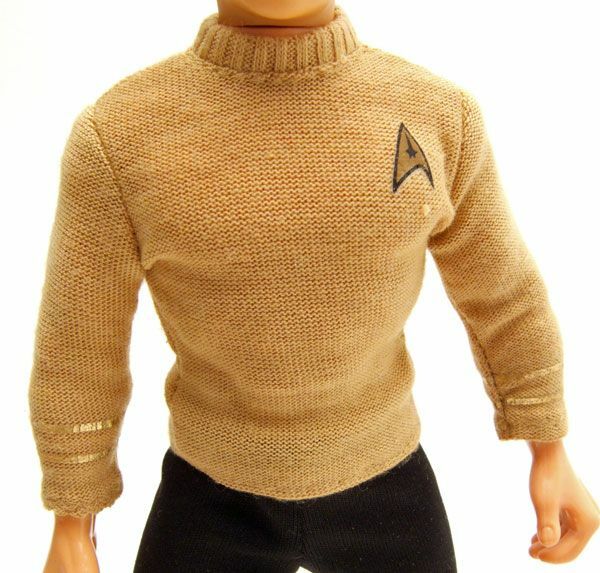 It looks a little closer to Pike's and is a bit too "peachy" for Kirk. 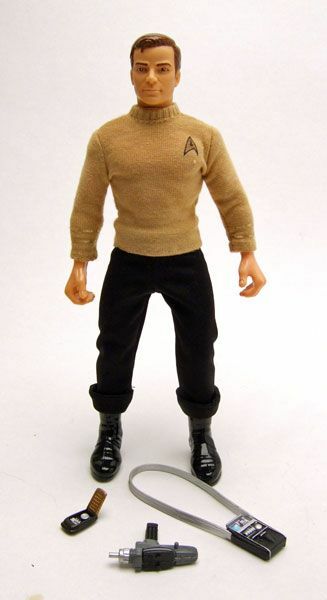 It's been awhile since I've spotlighted one of the 9" Kirk figures, so I'll say it again: I think Playmates did really nice work capturing the Shat's likeness, especially considering the rotocast material used here. I don't know the exact process of taking an original sculpt and transferring it into this rubberized material, but they definitely made it work. I'm not sure any other company has captured him as well up to this point. 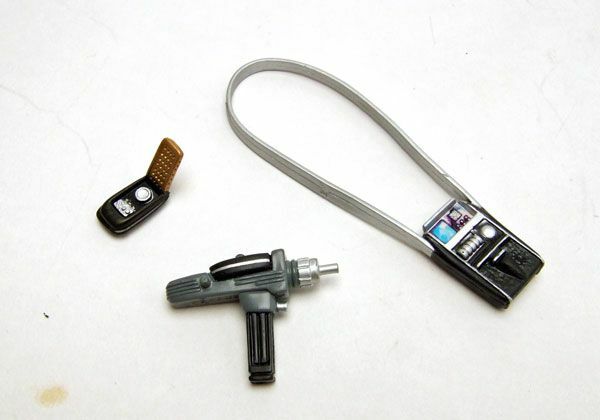 Accessories: Kirk includes a phaser, a communicator, and a tricorder. This is probably the most disappointing aspect of the figure as none of the accessories match the look of the equipment used in the pilot. Oh, and Playmates 9" figures can't hold their weapons all that well since they are all made just a bit too big (a major drawback you'll need to overcome if you decide to get into the line). 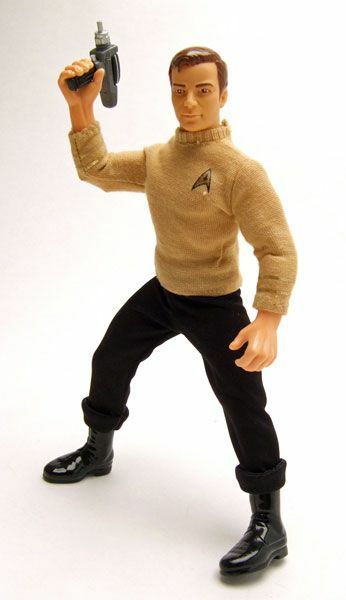 Labels: Kirk, Playmates, Playmates 9"